This training program is intended for staff and students from many levels, disciplines, and settings (both facility and community-based), including staff involved in providing long term care (e.g., nursing staff and administrators), as well as behavioral health staff who work with older adults. Additionally, staff from Adult Protective Services, home health, adult day healthcare, respite care, area agencies on aging, Emergency Department staff of acute care hospitals, hospital discharge planners, and others serving older adults could benefit from the training. As always, students in any field of aging are encouraged to attend! Adopting a person-directed culture in health care means a commitment to ongoing learning. We need to challenge traditional learning so that education itself is person-directed. Through 5-8 minute videos that are memorable and practical, microlearning offers a new culture of education that meets people where THEY are in their busy lives of caring. In this session, presenters will share how Virginia nursing homes and primary care providers have been breaking new ground using microlearning, its impact, and lessons learned. Participants will experience microlearning through a variety of relevant, interactive learning resources they can apply right away and will discover in the process, new pathways for person-directed education. Participants will gain an understanding of what microlearning is, how it has been used in other fields, and how it was innovatively used with nursing home teams and primary care providers. Participants will be able to explain how the project was conceived and funded and view lessons that were developed using CMS’ Hand in Hand and other sources. Participants will review the results of the program evaluation and explore its impact on knowledge about person-directed care. Attendees will be able to request a certificate of attendance through the webinar’s exit survey. These certificates will then be e-mailed a week after the event. 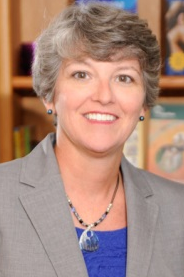 Mary Martha Stewart is the Director of Culture Change & ClearPath for Riverside Health System. She is responsible for developing and implementing innovative programs and services. Representative projects include Action Pact’s Household Model; Personalized Medication Program; Microlearning as an Effective Training Tool in Person-Centered Dementia Care; FAMILIES Caregiver Intervention Program; Spiritual Care Using Clinical Pastoral Education; AHEC Scholars. The microlearning project grew out of the challenges and frustrations she faced while trying to train health care employees. Ms. Stewart has a BA in Psychology from Mary Washington College and an MA in Human Resource Development from Marymount University. 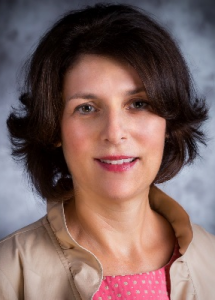 Dr. Christy Jensen is Director of Health Services Research with the Riverside Center for Excellence in Aging and Lifelong Health, in Williamsburg, Virginia and adjunct instructor in the Department of Gerontology at Virginia Commonwealth University. She obtained her PhD in Human Development & Family Studies, with a specialty in gerontology, from the University of Delaware. She is active with the Gerontological Society of America, the Southern Gerontological Society (Past President), and serves on the Board of the Virginia Center on Aging and the Lindsay Institute for Innovations in Caregiving. The Center for Excellence in Aging has been honored with a 2013 Commonwealth Council on Aging Best Practices Award for her work with family caregiver programming and with a 2012 Best Practices Award by the Southern Gerontological Society. Dr. Jensen is a Master Trainer with the Rosalynn Carter Institute for Caregiving and was named the 2015 Applied Gerontologist of the Year by the Southern Gerontological Society. Her current work focuses on programming and training to support family and professional caregivers with Microlearning representing the newest of training approaches. Dr. Jennifer (Jenny) Inker received her Bachelors degree in Art History from George Washington University, Washington, DC After completing her undergraduate degree, Jenny lived and worked for 21 years in the United Kingdom where she gained a Postgraduate Diploma in Housing Management and a Masters in Science in Strategic Housing Management. She worked in various leadership roles in the affordable housing sector in England and Wales, including non-profit operations management and local government. 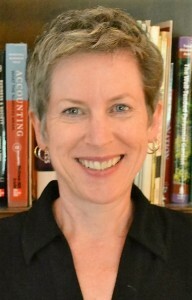 Jenny returned to the United States in 2007 and received an MBA in Healthcare Administration from George Washington University in 2011, a Masters in Science in Gerontology from Virginia Commonwealth University in 2013, and a PhD in Health Related Sciences (Gerontology) from Virginia Commonwealth University in 2018. In the U.S. she has worked as an executive director for non-profit and for-profit assisted living providers. Jenny is a licensed assisted living facility administrator in the Commonwealth of Virginia and a certified Myers-Briggs Type Inventory Practitioner (Step I and Step II). Jenny has been an instructor in the Department of Gerontology at VCU since 2014. She teaches Sociology of Aging, Aging and Human Values, and Long Term Care Administration. Jenny’s research interests include ageism and attitudes to aging, long-term care workforce training, and the development of elderhood.